His wish had finally been granted. The Marvel fan was sadly diagnosed very aggressive cancer called Pontine Glioma and at the start of the month it was confirmed that he had an inoperable brain tumour. He was diagnosed with cancer that year. When Eva was first diagnosed with cancer she was twenty. She died of a brain tumour. 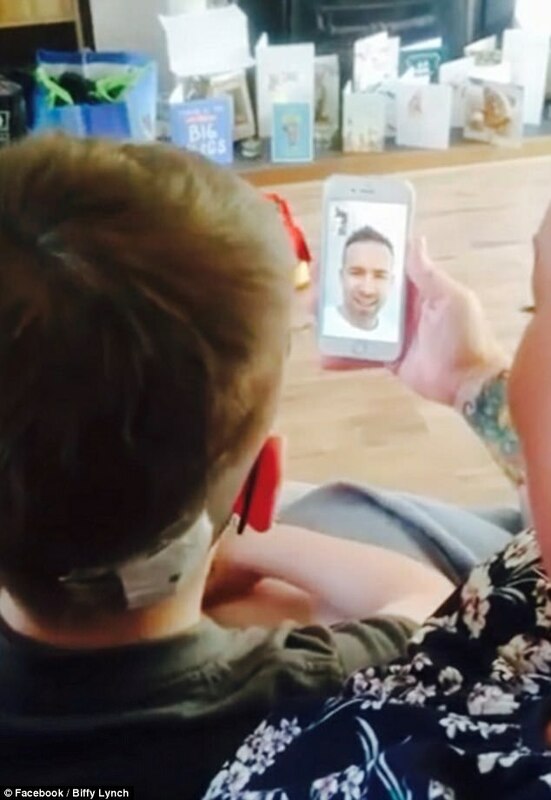 And following the devastating diagnosis, his dedicated family and friends are determined to make his final months as memorable as possible, with a phone call from father-of-two Ryan being one of them. Following the dinner, there will be a dance. Following his military service, Wilkins returned to his home town. It is always devastating to be diagnosed with a terminal illness. It will have a devastating impact on the economy. Early diagnosis and treatment can prevent serious problems. The doctor has made an initial diagnosis. She’s completely dedicated to her work. In the emotional video, the Canadian actor – who is married to Blake Lively – can be seen speaking the adorable boy, who tells him about how ‘poorly’ he has been while surrounded by his mum, step-dad Ady, older brother Jack, and two of the family’s baby sitters. He says he’s feeling poorly and he’s going back to bed. 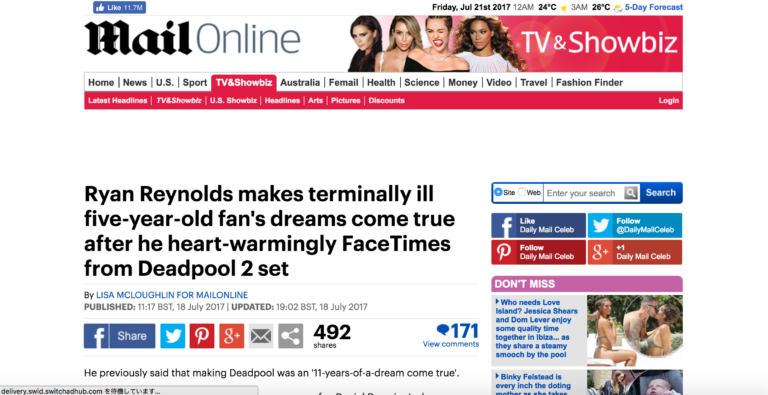 Suddenly being able to chat to his idol, the sweet boy cheekily asked if he could FaceTime him to show off his Deadpool T-shirt. He grinned cheekily and left the room. He’s always showing off to his classmates. Seeing his fan face-to-face, Ryan enthusiastically shared: ‘Ah that’s awesome, what an awesome T-shirt! You know I’m the only guy who doesn’t have one of those T-shirts, I need to get one of those. The princess was welcomed enthusiastically by the crowd. After talking about his love for the comic-book adaptation, Ryan asked Daniel if he wanted to see a sneak peek at the set of the upcoming second installment of the film franchise, which is set to be released in 2018. The movie was an adaptation of a novel. The television adaptation of the stage play was very successful. The company is offering a sneak peek at the new software. Do you want to hear the latest instalment of my love life? He offered to walk her to the station. Following the excitement, Daniel’s mother Stephanie spoke to the Plymouth Herald about the heart-warming conversation which lasted for 15 minutes. The game lasts 80 minutes. The drought lasted for several months. They say the snow will last until the end of next week. I doubt their enthusiasm will last. He’s working very efficiently at the moment, but it won’t last. ‘Daniel picked up the phone and Ryan asked if he knew who he was,’ she said. ‘As soon as Daniel realised, he asked if he could FaceTime him and then he was very, very hyper. I get hyper if I drink too much coffee. I was so hyper it took me over an hour to get to sleep. ‘All the camera crew waved hello and Daniel had his Mr Pool t-shirt on (like the Mr Men but for Deadpool). Melissa had her new dress on. I loved that dress you had on last night. I’ve got to dash off straight after lunch to meet a client. She dashed the letter off in five minutes. I sat down and dashed off a couple of notes. Friends of the family are currently raising money through a JustGiving page to help with his palliative care at Bristol Royal Hospital for Children, 200 miles from his family home.